While your smartphone is probably used for personal use only, in some cases, you may have to share your device with another person. Whether it’s for work or any other reason, it’s always nice to have a separate session for each person who uses the device. That’s why we’re going to explain how to create a guest user account that prevents third-parties from viewing your most personal data or files. To create new accounts, you just have to slide down to open the upper toolbar. If you have a recent version of Android, then you’ll probably find a tiny user icon. When you select it, you’ll see a new tab where you can choose the type of session you want to add. Once you’ve reached this point, it’s time to understand the difference between the two available options. If the person who’s going to share your device is going to use it often, then you should select Add user. In this case, the person will get setup options, custom screens, and the freedom to update apps and accounts. On the other hand, if you’re going to share your device with someone who’s only going to use it sporadically, then you should select Add guest. Thanks to this option, the other user will have their own session on the device, but it will be much easier to delete it when necessary. What information is shared between users? If you’ve created one of the sessions mentioned above then you may be wondering what data is shared between the device owner and the other users. Both the updates and WiFi settings will be shared between all users. However, the list of apps or files like music, audio, photos, and text messages will never be shared. From the tab to add other users, you can also select More Settings to manage more permissions. 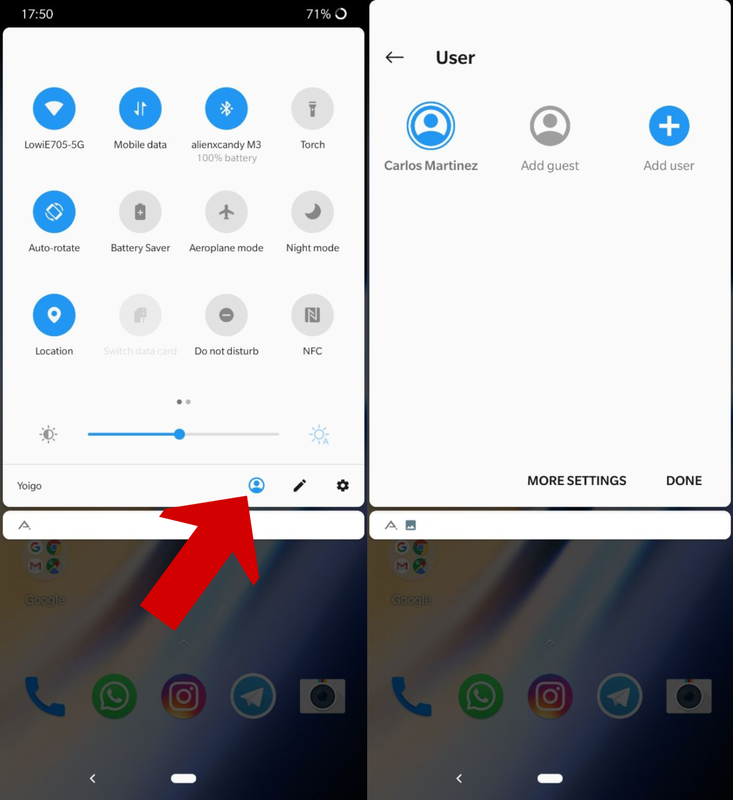 For example, you’ll have the possibility to enable the option to add users from the lock screen or enter information that will be used by emergency services in the case of an accident. 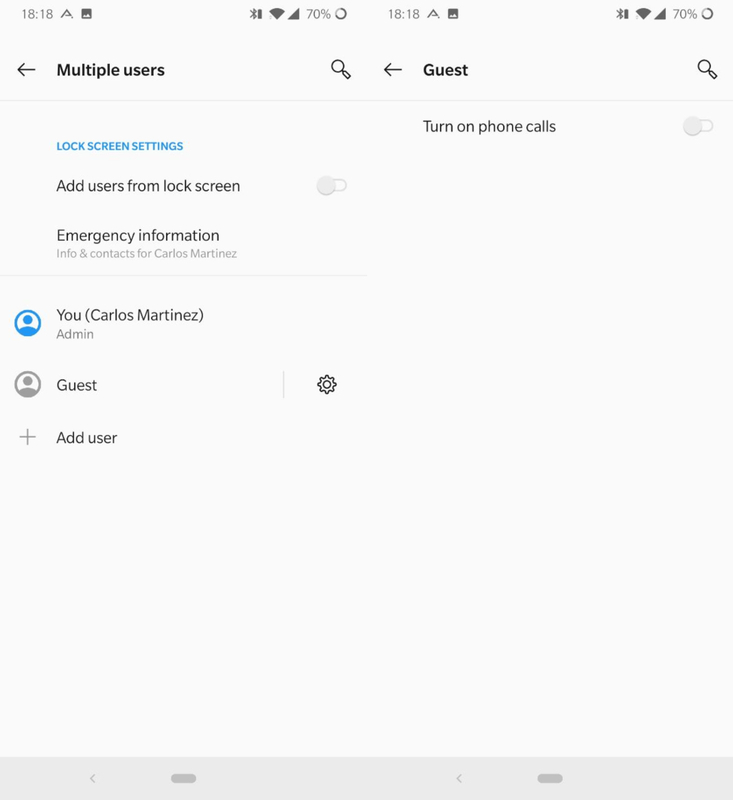 If you select the little gear that appears to the right of the list of guests, you can give permission to other users to make calls. This way, it’s the device admin who has all the power over who can complete certain actions. 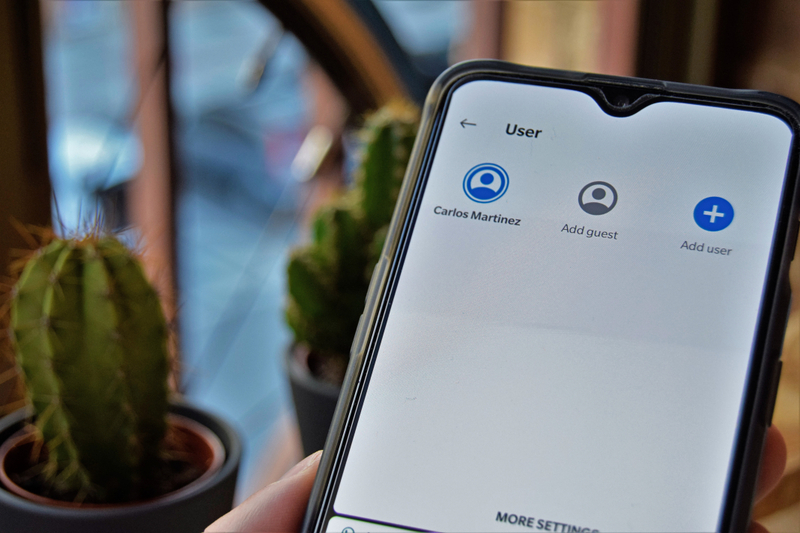 With all these options, there’s no doubt that it’s very possible for more than one user to use the same Android device. You just have to create as many sessions as you deem necessary and manage the permissions so that you don’t put your privacy in jeopardy. That said, this option is not available for every Android device on the market.